If staying long-term in a hostel was ever an experience you wanted to try, then Blenheim is the king of long-term stay hostels thanks to the demand for seasonal workers in the Marlborough region. All of the hostels listed below offer weekly rates making your stay in Blenheim affordable when working a picking season in Blenheim. For those just passing through Blenheim, wanting to check out the hikes, beaches and do a bit of a winery crawl by bike, then plenty of backpacker hostels welcome short-term guests. 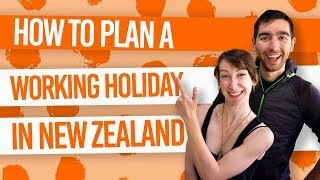 Staying in a backpacker hostel is one of the most affordable accommodation-types when travelling around New Zealand, meaning you can save money with hostels in Blenheim so you can travel longer, further and do more epic activities. 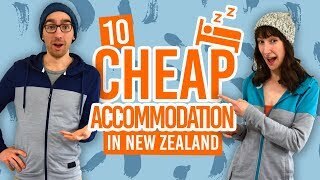 Check out our Accommodation Guide to Blenheim for more budget accommodation options. As a hostel with that “home away from home” feeling, no wonder this a favourite for long-term stay. (And let’s be honest, that’s what most of us will be doing in the picking season). Colourful decor, a cosy living room with guitars, and a huge garden – it’s a great place to hang out after hard day’s work on the vineyards. Koanui Lodge is often praised for it’s “good vibes”! There’s plenty of space to lounge and meet new people, whether you’re here long-term or just passing through. It has all the basics and essentials for your stay in Blenheim. Aptly named, The Grapevine is popular with seasonal workers and short-term stays alike. This old-style villa has great views of the Opawa River on its decking area – a great place to have a glass of Marlborough wine at the end of the day (if you’re not sick of the sight of it). A backpackers with an Irish twist – and that twist is the Irish Bar downstairs with some super cheap backpacker meals on offer (meals under NZ$10). If you like to be close to the party, then Biddy Kate’s is the place to be. This backpackers is more aimed towards seasonal workers rather than short-term stays, but if you want a more spacious stay in a grand 98-room complex with a 5 acres of backyard to play around in, then this is the place for you. Plus, don’t miss 10 Blenheim Must-Dos.